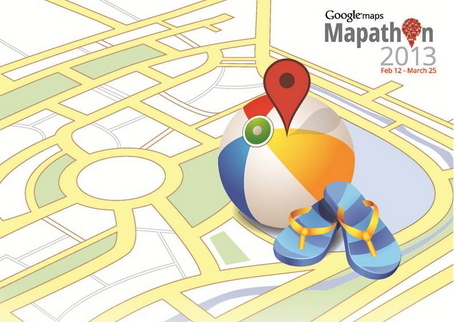 Google India has announced India's first mapping competition Mapathon 2013, to improve maps for India. The peoples who lives in India can eligible to participate to this contest. Participants have to select a specific area on Google Maps and add new places like restaurant, Schools, Hospitals with contact numbers using Google Map Maker. Then save and submit your input to developer team. Once the submitted edit has been verified, the new information will be added to Google Maps. The top 1000 mappers will receive cool prizes like Android tablets, smartphones, Gift vouchers and Mapathon 2013 T-shirts.